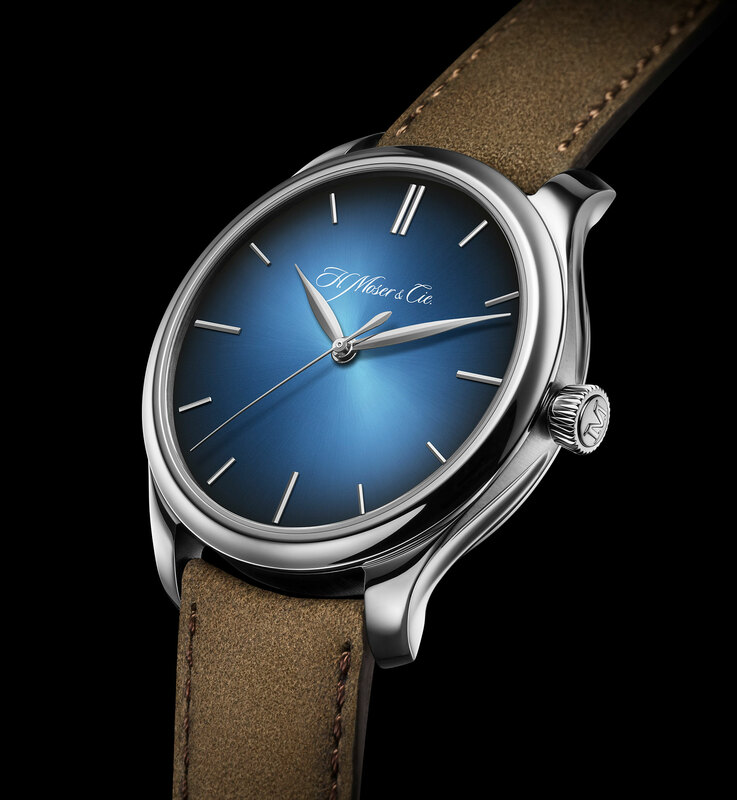 Last year during an exclusive interview, Ed Meylan, H. Moser & Cie.‘s chief executive let on he was exploring the idea of entry-level, stainless steel wristwatch priced between SFr9000 and SFr11,000. Now that idea has become reality, albeit priced just over the upper end of the range, in the form of the Pioneer Centre Seconds Automatic, powered by the new HMC 200 movement. With a stainless steel case, the new sports model is a simpler version of the Pioneer in 18k gold introduced two years ago. 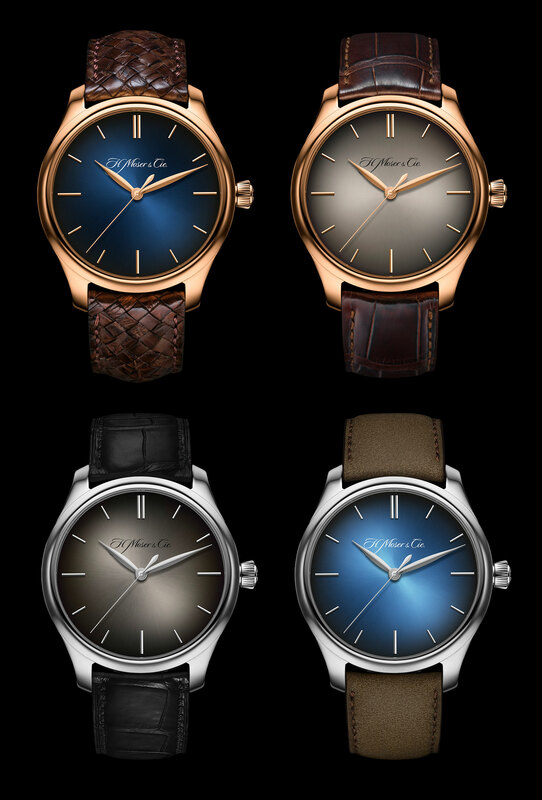 H. Moser has offered steel watches before, but only as limited editions (as a perpetual calendar for instance). The Pioneer is water-resistant to 120m and appropriately matched with a rubber strap. 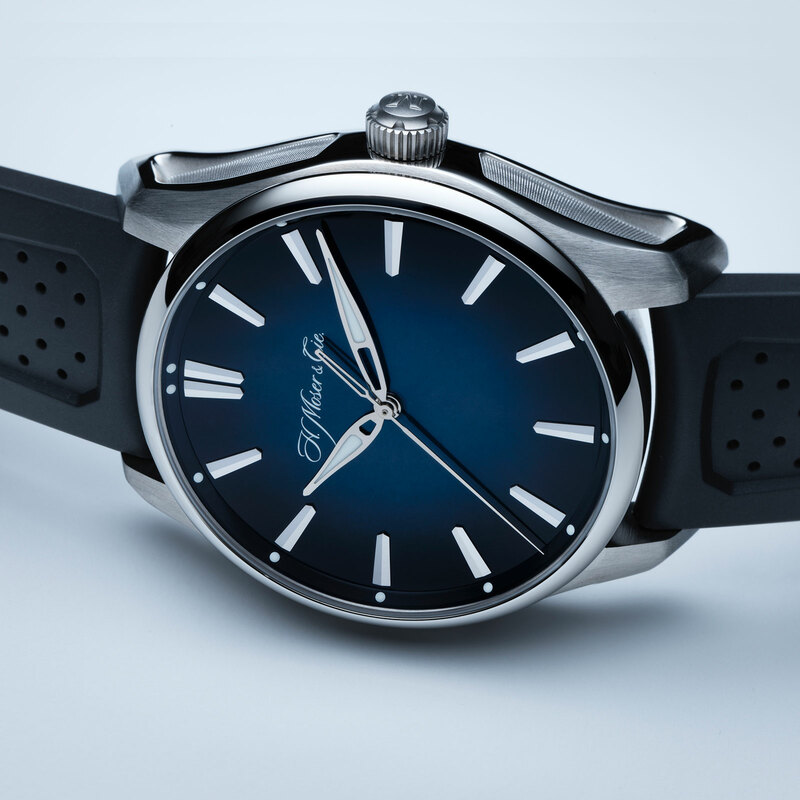 And the dial is a dark blue fumé, with a graduated blue tone that’s a favourite of the brand. 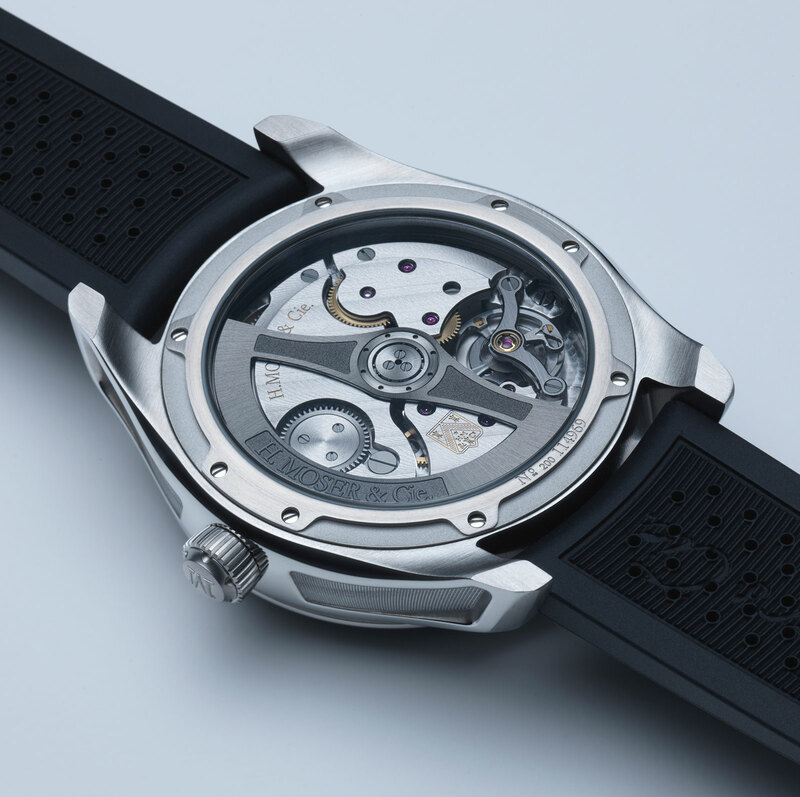 Conceived as a workhorse movement that can also be produced economically, the HMC 200 movement inside is self-winding with a three-day power reserve. Unusually, it’s a slow beat movement running at 18,000 beats per hour (bph), perhaps a concession for a lengthier power reserve and ability to build complications on top. The same calibre, but dressed up with an 18k gold rotor, is also found in the new Endeavour Centre Seconds Automatic. This is a three-hand, time-only wristwatch in an 18k gold case. The 40mm case has the brand’s trademark concave flanks, while the dial has baton hour markers and leaf hands. It’s available in four different fumé colours. The Pioneer Centre Seconds Automatic will cost SFr11,900 (about US$12,000). And the Endeavour Centre Seconds Automatic is priced at SFr19,900 (about US$20,000). Both will be available from H. Moser & Cie. retailers starting June 2017. H. Moser & Cie. has just unveiled its first sports watch, the Pioneer Centre Seconds, powered by an in-house movement inside a red gold and DLC-coated titanium case.